20.02.2011 » Cristiano Ronaldo: "Levante put the bus in front of the goal"
Cristiano Ronaldo says that Levante played with "a bus in front of the goal", which prevented Real Madrid from scoring more goals last night. 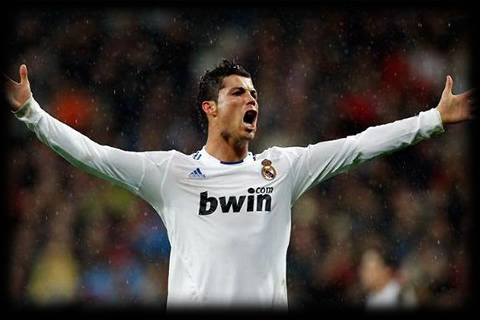 CR7 is also confident Real Madrid will win against Lyon next Tuesday, in the UEFA Champions League 1st leg. Cristiano Ronaldo was asked to coment on the reduced number of goals that Real Madrid scored last night against Levante, and the portuguese used an expression commonly used in Portugal, to describe a team who just cares about defending: "We couldn't score more goals, because Levante put the bus in front of the goal. They didn't risk a single bit and kept defending the entire time. It was a hard game, but it ended well and that's what matters. We had many occasions to score, but now we have to focus on Tuesday's match against Lyon, which will be a very important game." Cristiano Ronaldo is confident Real Madrid will be able to get a positive result in the first leg match, played in France, in Lyon. Even though Lyon beated Real Madrid last season, the portuguese player can only see his team going through this stage. Ronaldo: "We know that it will be a very hard game, but I believe everything will go the way we want. Lyon is always a very competitive team. Even though they are not doing that well in the French League, they are always a strong opponent to play against in the Champions League, and a proof of that is that they qualify many times to the quarter-finals stage. However, I'm confident we'll have a good game and we'll manage to win it." Still regarding last night match, José Mourinho was also asked to comment on why he didn't give some rest to Cristiano Ronaldo during the 2nd half. After achieving 9 years in a row unbeaten in domestic league games, the portuguese coach said: "He loves to play, he's on a great shape and doesn't feel tired at all." This has been a topic approached several times in the last weeks, through a different interviews and statements.